On March 28, the AAA-CPA filed an Amicus Curiae Brief in support of the respondents in the South Dakota v. Wayfair, Overstock, & Newegg (No. 17-494) case before the U.S. Supreme Court. The case involves a South Dakota law that provides an out-of-state company has sales tax nexus with the state for merely selling more than $100,000 of goods or more than 200 sales total sales in the state in a 12-month period. The law was designed to fast track a case to the U.S. Supreme Court to challenge a 1992 U.S. Supreme Court holding Quill Corp. v. North Dakota (504 U.S. 298). In Quill, the court held a physical presence in the state is required to meet the substantial nexus requirement of the dormant Commerce Clause. South Dakota, claiming a dire need for revenue, has asked the court to allow a broad jurisdictional reach over remote sellers to collect taxes that the state's own citizenry has been unwilling to pay. The AAA-CPA respectfully requested the court consider various sales tax compliance burdens that will be imposed on remote sellers if Quill is overturned. The vast expansion of sales tax jurisdictions and the growing complexity of sales tax laws over the last 50 years have made the burdens of multistate sales tax compliance greater. This court originally ruled that state laws imposing taxation on retailers with no physical presence in the state violated the Commerce Clause. AAA-CPA members, with both accounting and law backgrounds, have unique perspectives on business and the courts. At the same time, a significant number of AAA-CPA members have devoted their careers to the fields of federal and state tax law, representing a very wide variety of industries. As such, AAA-CPA members have firsthand knowledge of the challenges facing a business when having to engage in multijurisdiction sales tax and use tax compliance and just how difficult it is for a business to defend against sales tax audits and assessments. Because of these qualifications, AAA-CPA has a compelling interest in this court's ruling. You can access the full brief here. Mr. Freeman, a dual-credentialed attorney-CPA, author, law professor and trial attorney, is the founding and managing member of Freeman Law PLLC with a principal office in Frisco, Texas. 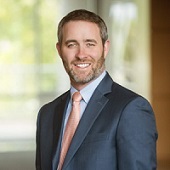 He represents clients in litigation and disputes, with a particular focus on federal and state tax controversies, as well as white-collar and financial disputes, both civil and criminal. He also advises and assists clients with tax and regulatory compliance, including domestic and international tax and regulatory reporting requirements. Mr. Freeman often represents clients in complex financial and regulatory matters that involve sophisticated forensic accounting analyses. He handles IRS audits and other investigations, and has represented clients facing a broad array of tax and white-collar or financial-related charges, including tax evasion, bank fraud, money laundering, Bank Secrecy Act violations, securities fraud, computer intrusion and Medicare fraud, as well as clients in disputes with the Securities and Exchange Commission. He also represents clients in asset forfeiture cases. Mr. Freeman serves on the law faculty at Southern Methodist University's Dedman School of Law where he teaches a course in the law of federal income taxation. He is a frequent public speaker across the country, presenting and educating on various legal topics. He is the President of the North Texas chapter of the American Academy of Attorney-CPAs, serves as a board member of the TSCPA's Executive Board and sits on the Board of Directors for the Dallas Society of CPAs. He is an editor on the TSCPA Editorial Board and serves as the Tax Topic Columnist for Today's CPA Magazine. He is also very involved with the tax sections of the Texas State Bar and the American Bar Association.